The Baltimore & Susquehanna Railroad opened a route from Baltimore to York in 1838. 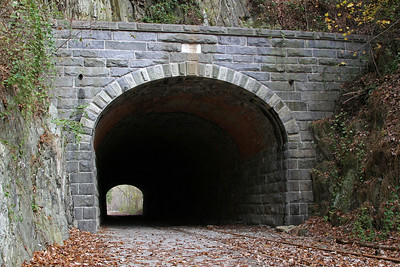 The railroad included Howard Tunnel, named for Revolutionary War colonel, politician, and railroad investor John Eager Howard of Baltimore. Portals of cut stone were added to both ends of the tunnel in 1840. The B&S became the Northern Central Railway during mergers of 1854, the name by which the route is still known today. 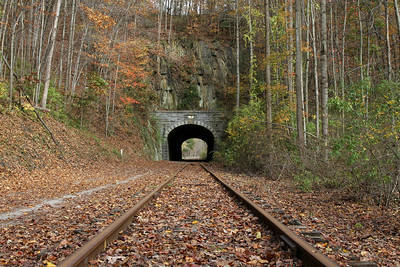 The railroad was considered a vital link for troops and supplies during the Civil War and the tunnel protected from Confederate attack. Following the war, Howard Tunnel was rebuilt for double-track operation in 1866 at a length of 256 feet with brick lining and stone portals. The Pennsylvania Railroad, which had maintained a controlling interest in the Northern Central since 1861, purchased the railroad in 1914. Freight volumes declined after WWII and the PRR shifted traffic to its parallel Port Deposit route along the Susquehanna River to the east. Hurricane Agnes significantly damaged the line in 1972 and the Penn Central (successor to the PRR) petitioned the ICC for its abandonment. The railroad between York and New Freedom was acquired by the Commonwealth of Pennsylvania in 1973 and rebuilt in 1985 for the resumption of freight service. Freight business failed to materialize, however, and the Commonwealth sold the line to York County. A "new" Northern Central Railway leased the railroad in 1996 for tourist operation. For the next five years, the diesel-powered Liberty Limited dinner train ran from New Freedom to the end of county-owned track just south of York. The Northern Central has again lay dormant since 2001. The Heritage Rail Trail County Park, a recreation trail alongside the single remaining railroad track, was opened in 1999. 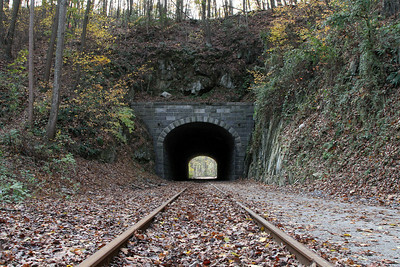 The county refurbished Howard Tunnel in 2003, including drainage, grading, and reflectors. South portal. The date stone reads "Howard Tunnel 1840." North portal. The date stone reads "Howard Tunnel Rebuilt 1866."